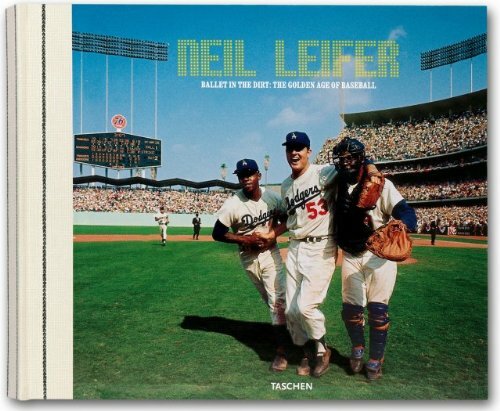 Collector's edition limited to 1,000 copies worldwide, numbered and signed by Neil Leifer. All this flavor and juice were captured on film by the premier sports photographer of this generation, Neil Leifer. Professional baseball for those two decades belongs to Neil. In 1960, at age 17, Neil had the human drive to match his new Nikon motor drive and he was on his way. With gumption and an eye for the decisive moment in baseball, the baby-faced kid from Manhattan's lower east side was soon selling his baseball photos to Sports Illustrated and later, working for Life and still later, staff photographer for Time magazine. This superb collection of images reflects the total access Neil had to the players on the field, in the dugout, and in the locker room. All the pathos, elation, disappointment, and celebration are etched upon the faces of the ball players and mercurial fans. Neil and his camera never sat still. He is up in the nosebleed section of the grand stands in Yankee Stadium, in the ceiling of the Astrodome in Houston, or in a helicopter high above. Many of the old stadiums he photographed are gone, replaced by modern convenient structures to ease and increase commerce. From the 1960 World Series between the Yankees and the Pirates, decided in the 9th inning of the 7th game by a Bill Mazeroski home run, to the 1977 World Series between the Yankees and the Los Angeles Dodgers, Neil Leifer never stopped shooting. Who won the games isn't important-it's how the game was played. The blood, sweat, and grace. It's all about the game, and Neil Leifer's photographs create a topographical map to the very heart and soul of baseball.